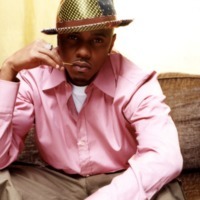 Donell Jones (born May 22, 1973 in Chicago, Illinois) is an American R&B singer, songwriter and record producer. He is most notable for the hits "U Know What's Up", "Where I Wanna Be" and his cover of Stevie Wonder's "Knocks Me Off My Feet". Jones rose to fame in the late 1990's with the release of his second album, Where I Wanna Be.